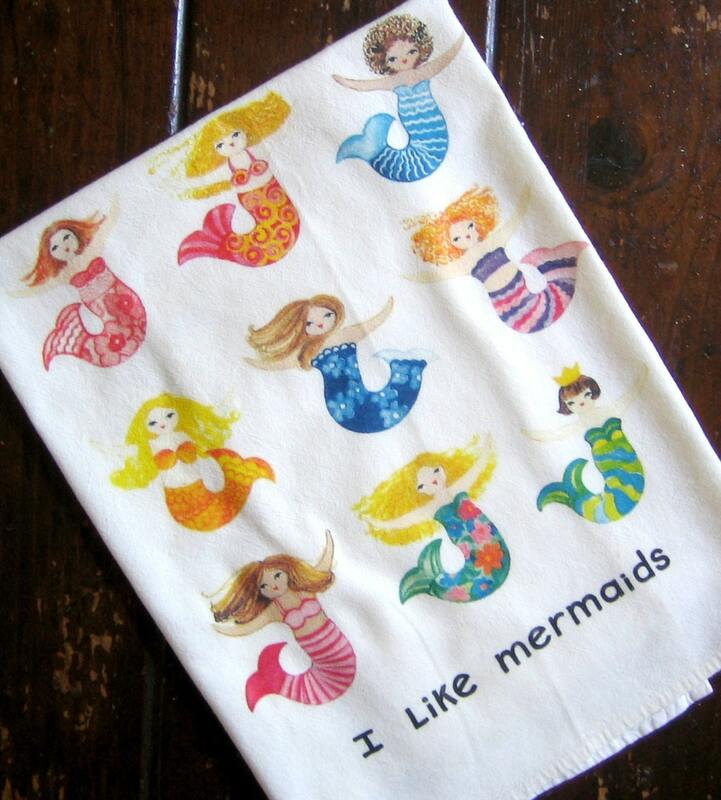 I Like Mermaids digitally printed from original watercolor on large (30x30), nice quality, 100% cotton kitchen towel. Towel is meant to be used and design is meant to be shown when towel is folded, hanging on an oven or rack. Image is appx 10x10, printed center, bottom edge. Not an overall print, a picture! 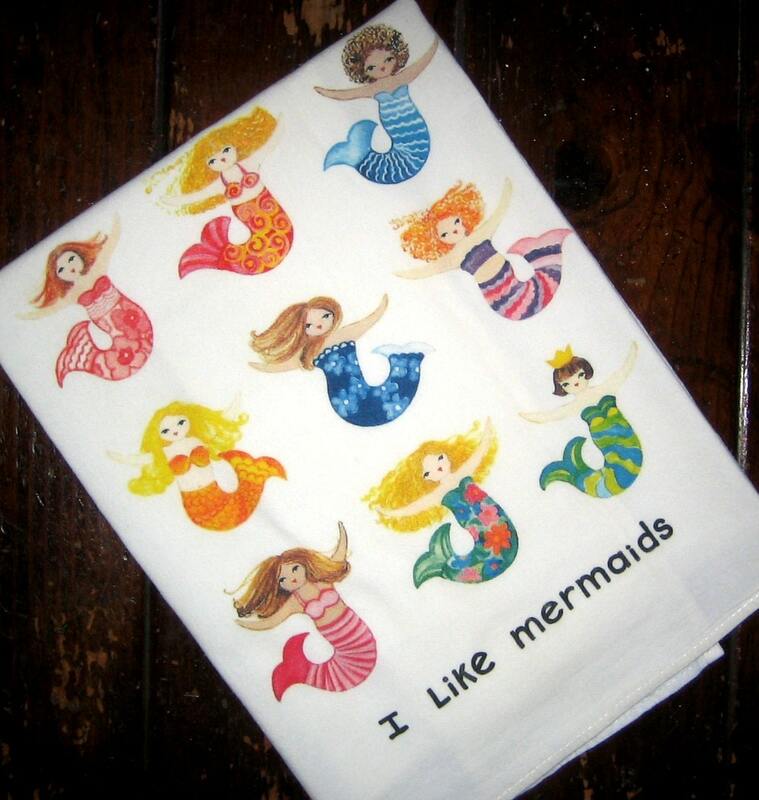 Nine individual, different mermaids, bright and happy.